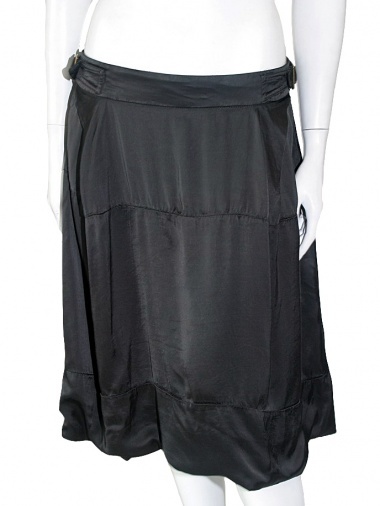 Skirt with double buckle 100% Viscose by Jan & Carlos - Clothing Women Skirts On Sale. Wide "puff" skirt with horizontal cuts. Waist to be regulated with straps.